The final plan includes a proposal for numerous sidewalk extensions at corners, also referred to as “pedestrian bulbouts.” With a primary goal of the Transit Effectiveness Project being the speeding up of the buses down the corridor, the SFMTA has included the pedestrian safety measure which shortens the distance one must walk to cross the street. A preliminary design of the intersection of Haight & Ashbury includes 3 such pedestrian bulbs. HANC’s January general meeting was an old-fashioned discussion with our members and guests, as our invited speakers were not able to attend. We presented an update on the Panhandle, and discussed how car-sharing parking spaces and the proposed Area Q residential parking permits will affect our neighborhood. Car-sharing and residential parking permits are discussed elsewhere in this issue of the Voice, so this article will provide an update on the Panhandle. HANC devoted its September meeting to hearing from campaigns that it endorsed and discussing a plan of action for the November election here in District 5. 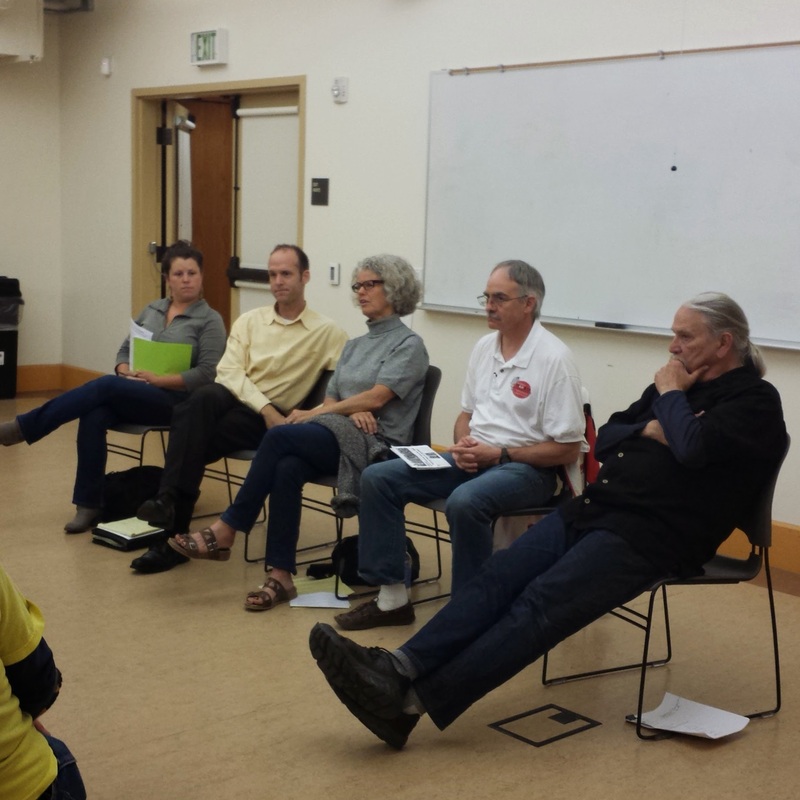 As readers of the Voice may remember HANC has devoted its last two meetings to discussions about the crucial importance of this year's ballot. In a City that has the double whammy of having the greatest income inequality of any major American city AND the highest housing costs in the nation, two measures on the ballot--Proposition G, which would raise the transfer tax on speculative real estate transactions which result in “flipping” properties after holding them for 5 years or less and Proposition J which would raise the minimum wage to $15 an hour by 2018 – will actually seek to address these huge issues. Additionally this November has two measures aimed at making San Francisco more “child friendly.” The first, Proposition C would extend the historic “only in San Francisco” funding program for children, families and youth. The second, Proposition E would tax sweet beverages, the proceeds of which will fund new programs aimed at healthy diets for children. Two measures address the distressing conditions of Golden Gate Park, measures H and I. Proposition H, placed on the ballot by signatures, would prohibit the installation of artificial turf and event night lighting at the western end of GGP. Proposition I was placed on the ballot by Mayor Lee And Supervisor Chiu specifically to “kill” H should it pass. But Prop I goes farther than that as it automatically approves any “renovations” to playgrounds, fields or trails that have a certified EIR, basically overriding citizen concerns. Last month's meeting welcomed a very informative panel on the status of Community Choice Aggregation (CCA) in California, AB 2145 (Bradford, D-Gardena) and the future of CleanPower SF, our own CCA program. The panelists were D5 Supervisor and LAFCo Commissioner London Breed, our own Jason Fried as Executive Officer of SF LAFCo , Jed Holtzman of SF Bay Area 350.org, Eric Brooks of Our City and SF Green Party, and, myself, Bruce Wolfe, facilitating on behalf of the HANC Board of Directors. SFPUC Commissioners Vince Courtney and Francesca Vietor declined to attend. Californians for Energy Choice (CfEC) lobbyist David Balla-Hawkins of ART Consulting from the Sacramento area was unable to attend. (Jed, Eric and I are coordinators and also representing CfEC). The energy business in CA and around CCA is very wonky but all panelists gave excellent reports and explanations everyone could understand. 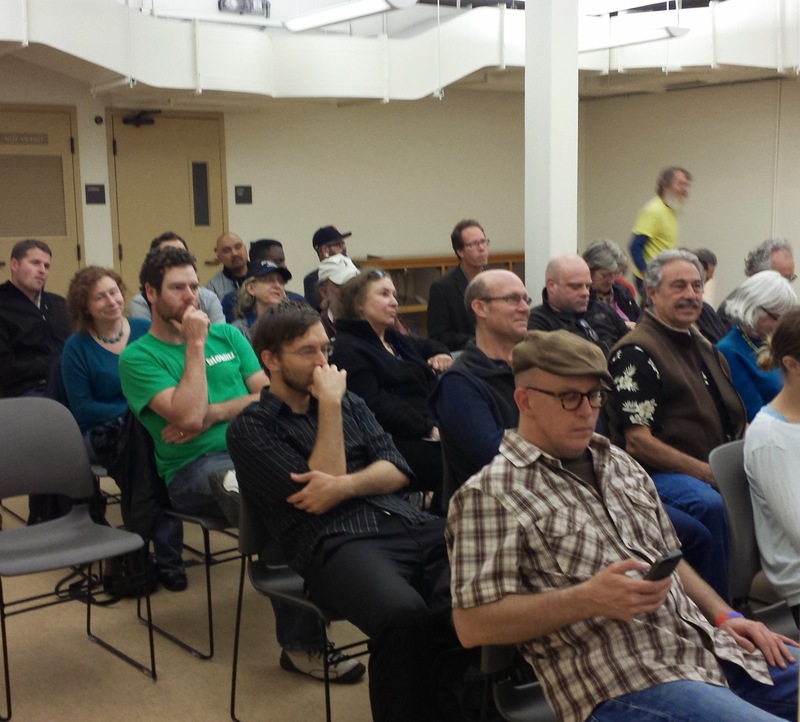 A good outline of the history of CCA and what it brings to CA ratepayers was given. Any CCA formed would bring cheaper and cleaner energy to homes and businesses. Marin and Sonoma Counties have already implemented their programs and are reaping the benefits in addition to plans for local renewable energy build-outs better known as distributed generation. AB 2145 was the bill to kill CCA. It was hard fought by CfEC and allies who were successful in defeating it with the expert help of David Balla Hawkins despite various, significant labor unions being dragged into the fray under spurious influence by trade front groups, SuperPACs and investor-owned utilities (IOU) like PG&E, SoCalEdison and San Diego Gas & Electric. CfEC is reaching out to them to repair this political damage and explain that CCA is a boon to jobs in the emerging renewable energy industry in CA. They were sold a bill of goods that CCA would reduce jobs. The July 10th HANC general membership meeting was devoted to a review and evaluation of measures on the November ballot, to date. All of the measures, so far, have been placed on the ballot by either the Mayor or members of the Board of Supervisors. It was noted that if the Mayor’s issues are defeated, it might open the way for a strong candidate to run against him in his re-election campaign in 2015. The anti-speculation measure may be the most important measure of the Mayor’s popularity, and needed to slow the rampant “flip” evictions that are threatening renters. Some observations by the speakers: Progressives need to come together and ID measures they can work on in common to educate SF voters, to impact choices on Absentee Ballots, (as much more voting is happening by mail), and to turn them out on election day. San Francisco is in danger of losing it’s soul, and this upcoming election could go a long way to saving the City we all love.